The vulnerability (CVE-2017-16249) exists in the web front-end of Brother printers called Debut (Remote un-authenticated DoS in Debut embedded httpd server in Brother printers) which if exploited can allow attackers to carry Denial of Service (DoS) through the victim’s printer without their knowledge. The attack is executed by sending a single malformed HTTP POST request. The attacker receives a 500 error code in response, the web server is rendered inaccessible, and all printing cease to function. 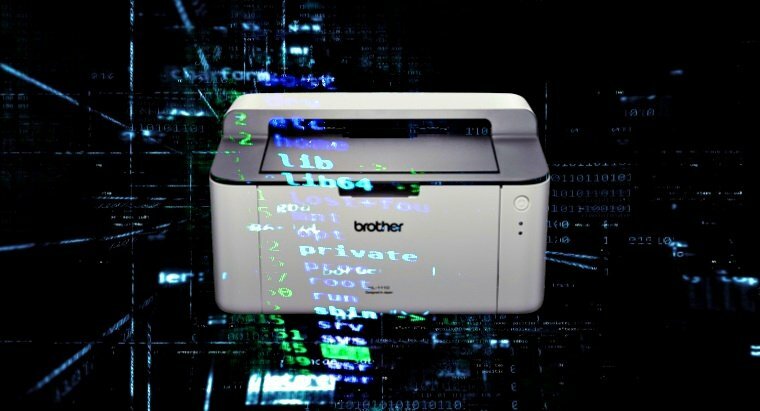 This vulnerability appears to affect all Brother printers with the Debut web front-end, noted researchers. Currently, there are more than 16,000 vulnerable devices publicly available on Shodan for attackers to exploit. There has been no response from Brother even after multiple attempts by Trustwave to alert the company regarding the presence of critical vulnerability. Therefore, Trustwave decided to publish their findings to the public even though the vulnerability still exists. The proof-of-concept (PoC) is available here. Therefore, users are on their own and advised to use firewall along with restricting the device access. Remember, in denial-of-service attack (DoS attack); an attacker can make a targeted device unavailable to its users by temporarily or indefinitely disrupting services of a host connected to the Internet. Previously, HP printers were found vulnerable to attack in which hackers could use its hard drive to host malicious files. In February this year, a hacker took over 1 50,000 printers worldwide and sent alerts to the targeted users about the vulnerability.